Tata International DLT launched India's first intelligent trailer at the Truck Trailer and Tyre Expo in Gandhinagar. Tata DLT's intelligent trailer is fitted with state-of-the-art technology that provides data required for optimising operation and maintenance of trailer to the operator as well as the fleet manager, thereby reducing the dependence on manual tracking. Magna Tyres announced the launch of the Magna AG23 tyre range for agri trucks and trailers. This tyre is special not only because of its high performance and craftsmanship, but also due to its manufacturing origin. 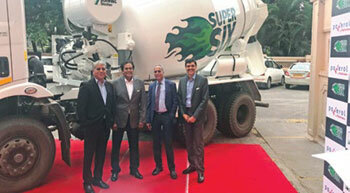 Schwing Stetter India announced its partnership with Mahindra Powerol to launch its new premium variant of concrete truck mixer series, 'Super Six'. In an industry-first initiative, Schwing Stetter and Mahindra Powerol have joined hands to launch this fuel-efficient product. 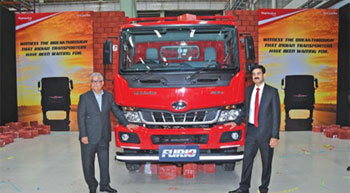 Mahindra's Truck and Bus Division (MTBD) unveiled the FURIO, its brand new range of Intermediate Commercial Vehicles (ICVs). FURIO marks the company's entry into the ICV segment and is set to make Mahindra a full range commercial vehicle player. 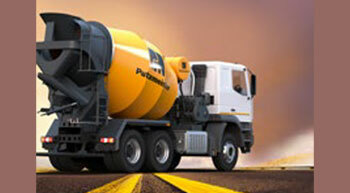 To support the clients comprehensively, Putzmeister has added the first transit mixers P6 and P7 to its offering. 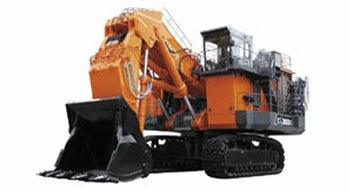 With a capacity of 6 cu m and 7 cu m respectively, these robust machines are designed for great performance. 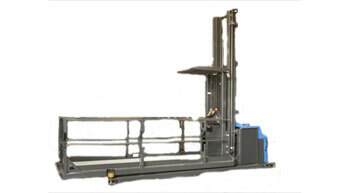 The Combi-OP order picker guarantees much more efficient and non-compromised operation for easy picking of long profiles. Elesa+Ganter's GN 880 oil drain valve speeds up the used oil draining and makes the job neater and cleaner.